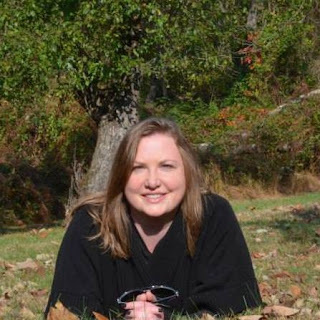 Today's guest is Becky Johnson, author of the mystery suspense novel, TOUCHING DEATH. Please leave a comment or question for Becky below to let her know you stopped by! Rachel Angeletti knows things. She always has. With one touch she sees secrets, emotions, lies. Her gift helps her to be the best museum curator in Chicago. It also makes her personal relationships difficult. Her life is complicated enough when a run in with her ex and an unanticipated vision sends her reeling. One touch and she sees death. One touch and she is thrown into the midst of killer’s dark fantasy. Now Rachel is in a fight for her life against a killer she knows too little about. With danger stalking her around every turn Rachel is in a thrilling race against the clock. Can she catch a killer before he catches her? Touching Death will take you on a riveting, page-turning, journey into the mind of a killer and the heart of a survivor. Touching Death is available at Amazon. I was eleven the first time I saw someone die. It was hot. The kind of hot where your shirt sticks to your back and every breath feels thick and heavy. The waistband of my plaid, pleated school uniform was itchy. It was always itchy, but in Chicago in early September with the temperature in the nineties, I could barely stand it. I looked across the museum where she was pointing. Jonathan Adams. With his dark hair and blue eyes he was the cutest guy in our class. He was talking to Carol, the prettiest girl in our class and our sworn enemy. April had such an intense crush on Jonathan. She had already named their children and when we played the name game she always wanted to get him. While April plotted revenge on her arch nemesis, I looked across the Ancients room in The Chicago Museum of Anthropology and Archeology to where Billy Masters stood by a glass display case. His hair was unruly and stuck up in odd peaks from his forehead in complete disregard of the rules. His white, button-down shirt hung out over his waistband. Technically, he was wearing the school tie; he just wore it tied around his belt loop, a bright red flag of rebellion. I never wanted to admit it, but when I daydreamed and played the name game, I was always looking for Billy Masters. Our class slowly moved through the large room. My teacher, Ms. Daniels, stood at the front of our group lecturing on the Egyptian Empire. With her graying hair pulled back into a tight bun, her stockings sagging around her skinny legs, and her soft and squeaky voice the lecture didn’t keep my attention. Her high-pitched voice faded to the background as I gazed at the surrounding exhibits. They were all so beautiful and fascinating. My imagination ran wild with stories and images. I imagined hands cupping a bowl or pulling a comb through a child’s hair. In my mind’s eye a thousand stories and possibilities ran wild. We walked through the center aisle of a room, clustered with pottery and remnants of houses. I felt the strangest urge, the almost all consuming desire to touch. My fingertips itched. The power of it drew me. The crumbled edges of the pottery bowl almost begged me to touch them. Only a velvet rope and a few feet separated me from that tantalizing edge. One touch. No one will know. I didn’t even realize I’d stepped forward until the velvet rope stopped me from going any further. Vaguely, I heard my teacher discussing social structure and family groups, but the pounding of my own heart overpowered all other noise. I reached my hand out and my fingers brushed the edge of the bowl. The images bombarded me -- a woman sat in front of a fire pit making dinner for her family. A dispute nearby grabbed her attention. Two men were fighting. The crowd surged and pulsed with the energy of the fight. Screamed words sounded foreign to my ears, but the emotion made perfect sense -- fear, anger, uncertainty. Only the woman with the bowl saw the little boy standing too close to the fighters. Only the woman with the bowl saw the danger. She screamed his name. Her screams went unheard in the din. The crowd moved with the fight, their bodies cutting off her view. The bowl was clutched tight in her fingers as she struggled forward, pushing people aside. It grew eerily quiet. The crowd slowed, then paused responding to a different energy. Shoulders and heads slumped as they parted before her. The little boy was on the ground. A bloody rock lay near him. She dropped the bowl as she surged forward, screaming. I awoke on the ground in front the display my face wet and my throat raw with the echo of the screams still ringing in my ears. Books are Becky Johnson's passion and always have been. She used to get in trouble in school for reading during class! Becky has Master's degrees in social work and history, and for her day job she is a social worker. In her writing she tries to answer a question that is important to both social work and history: Why? She always wants to know why people do the things they do or feel the way they feel. When not reading or writing she enjoys yoga, photography, cooking, and makes a pretty mean chili! 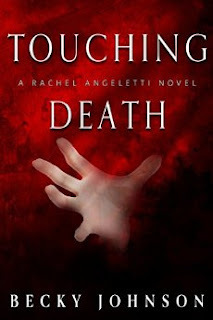 Her latest book is the mystery/suspense, Touching Death. 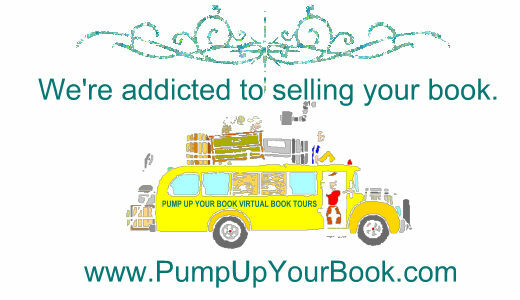 Connect with Becky on Facebook and Goodreads.